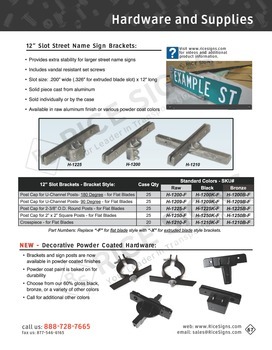 Holes are punched every inch for easy sign mounting. 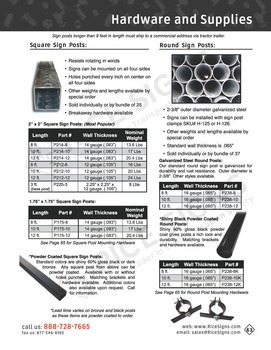 Sign posts are manufactured in United States from high carbon steel. 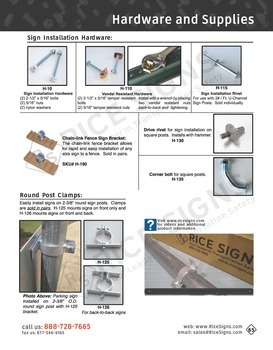 U-Channel Sign Posts are available in painted green or rust-resistant galvanized steel. 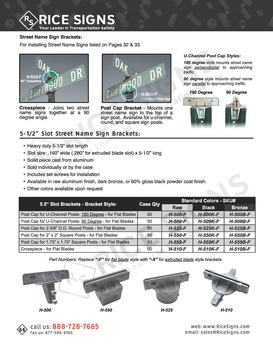 Flanged back on sign post adds extra support and allows front and back sign installation. 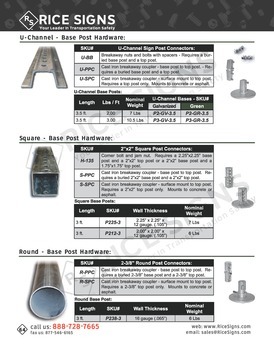 Ends of sign post are tapered for easy installation. Weight is 2 lbs per foot. Other styles available. 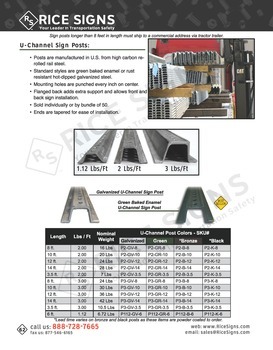 See 2# Per Foot Galvanized Steel U-Channel Sign Posts in our catalog on page 62.